Teeth of Naros is the second DLC for Kingdoms of Amalur: Reckoning. The Teeth of Naros opens up a brand new area, the Teeth of Naros for the Fateless One to explore - initially as part of a four person exploration team to rediscover the legendary land said to be sacred ground to trolls and named after their god. The Fateless One stumbles upon a lost civilization, the Kollossae of the floating city of Idylla, and his or her actions will forever shape the future of these proud beings. 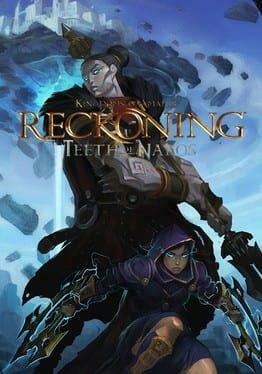 Kingdom of Amalur: Reckoning - Teeth of Naros is available from 9.99 to 9.99 from 1 shops.